Do you enjoy cross-country skiing? Ready to fly over jumping hill and turn into real-life eagles? Planica Nordic Centre offers you fun ways to spend time in hot summer days as well as in the chilliest winters. Check our activities that you can carry out in Planica, and spend some quality time in a wonderful valley under the Ponce! 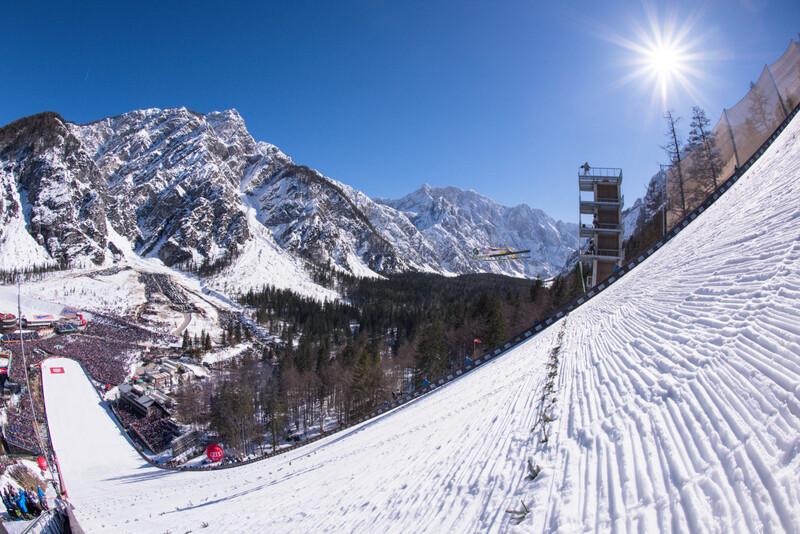 Find out more about Planica! Do you love cross-country skiing? Every year, the Valley under the Ponce Mountains, we organize various occasions and events for all ages. The most memorable and important event is definitely FIS Ski Flying World Championships at Flying hill of Gorišek Brothers and without it, we simply can’t imagine the yearly world cup of ski jumping. Check out our future events or walk through our archive of events that already came to pass. Just a few metres away from ski jumping hills and cross-country tracks, there is a fully equipped sport hotel, which satisfies all of the demands of a professional – his well-being and quick regeneration as well. A hotel with a gym and regeneration programme is an excellent addition to the technical trainings. Our scientists have discovered the best training method is: live high – train low. We take care for your strength training, flexibility, focus and resistance. Make sure you recover your muscles after intense training. One valley, two important milestones in history of ski jumping. We can say it with certainty, Planica can be to blame for the biggest shift in our mentality – thinking that a man can fly on skis. This is where two legends jumped over 100 and 200 metres for the first time in history. But if we want to understand the story and the evolution of Planica, we have to start at the very beginning. From Bloudek giant hill to Flying hill by brothers Gorišek. From the first ski shack to the innovative Nordic Centre. Get to know the history and the key events of Planica. The new Planica Nordic Centre is a place where young Slovenian athletes train to become the next generation of world champions. We believe it is our job to help them spread their wings and reach their full potential. Through our donations, we give our youngsters the chance to train in the best possible conditions. Every day of the year.